Home Gadgets specializes in creating audio and video solutions for corporate and commercial settings. 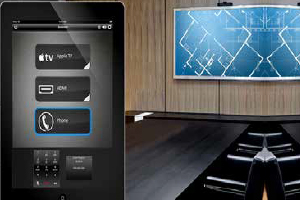 Whether you have a conference room, winery, retail store, house of worship, restaurant, school, grocery store, auditorium, office building or any other facility that requires audio, video, Home Gadgets will design and install the system to meet your specific requirements and budget. Our systems are easy to use – team members can intuitively adjust selection and volume with pre-programmed settings to match your environment. We use professional-grade, highly reliable speakers, amplifiers, video projectors and displays to ensure years of trouble-free service.